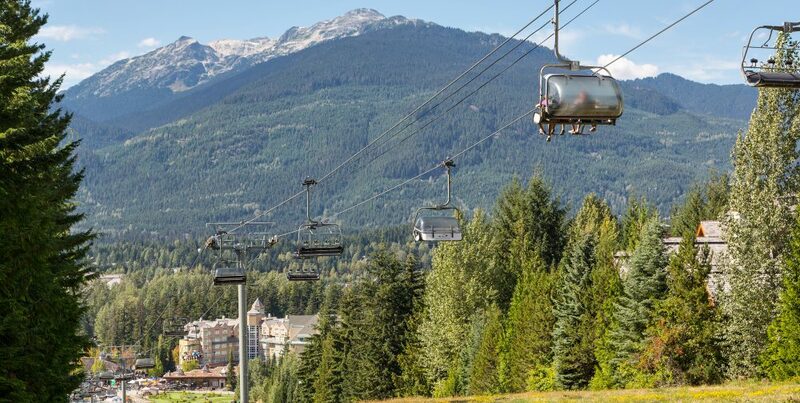 Possibly the most common reason people move to Whistler is for a ski season. And why wouldn’t you? Whistler is known around the world for its incredible terrain and is regularly voted North America’s number one resort. The transient population of “seasonaires” is made up of a hugely diverse range of people from all over the world. Each travel to Whistler for their own reasons, but you can guarantee the most common is for the winter and the snow. In fact, most long-time locals all came to the area in the same way – just check out our Realtor Q&As! What’s so special about the winter? What isn’t special about winter in Whistler? Everyone’s journey to Whistler starts in the same place, and for many, travelling along the Sea to Sky is where they fall in love with the scenery. From the snow-capped mountains to the open water, it’s no wonder that this is known as one of the best stretches of highway in North America. Arriving in Whistler in winter you are met with a town that is alive. The Village is always booming and brimming with excitement, while the mountain towers above you, inviting you outside. The impeccable skiing and snow conditions aside, there is so much more to winter than just the mountain. With such a like-minded community whose values lie in adventure and the outdoors, you will make new friends in no time. The shops, bars and restaurants offer another social pursuit that it’s safe to say most people take advantage of! And, as one of the longest winter seasons in the world, you’ll be skiing and snowboarding well into the spring! So what happens after the snow melts? Spring often sees a quieter time for locals, and many will even take the opportunity to go on vacation. However, this “shoulder season” is a lot of people’s favourite time of year! There are fewer crowds, the weather is warm, and you can enjoy every outdoor pursuit Whistler has to offer. The most common reason that people stick around in Whistler tends to be the lack of a “plan”. You move for the winter season with the intention of seeing what happens, then you discover the summer! When summer arrives it often surprises a lot of new Whistler residents. The weather is warm, the snow is gone, and there is so much to do! From hiking to biking, from golf to swimming, to just sunbathing by the lake, the days are long and the activities are endless. And that’s not to mention the events and festivals on throughout the season!